What if we dressed ourselves in a more conscious perspective about each human being? Which is simply that we are all in the process of developing into higher human beings. A counter statement that I often say to children is..
You are perfect as you are….and becoming more every day. This is the most constructive way to look at each human being. We are all evolving into something more. We can’ stop the Universe’s forward momentum and laws that ensure our constant change. If we resist it, we feel pain and discord of all shapes and sizes. So, how does this apply to our children and teens with strong introvert or extrovert qualities? It boils down to two things. Helping your child balance and overcome a trait that isn’t being used in a healthy way or is interfering with their joy, inspiration and creativity. For example if an introverted child finds great interest and joy from projects and activities that they like to do alone, not a problem. If they begin having challenges looking people in the eyes or speaking with them because they feel inferior or scared of people, then they have adopted a “limited” view of themselves and their ability. The reverse holds true for an extroverted personality. If they begin believing that they need others to make them happy and that they can’t find it from within, then things are out of balance. Each is an invitation for expansion and growth. Parents, you are the appointed guide that will lovingly and acceptingly move them forward in grace (not criticism) with this expansion process. Many have heard the difference between introvert and extrovert personality. Introverted people tend to flourish best when they are on their own or within the company of only a few people. 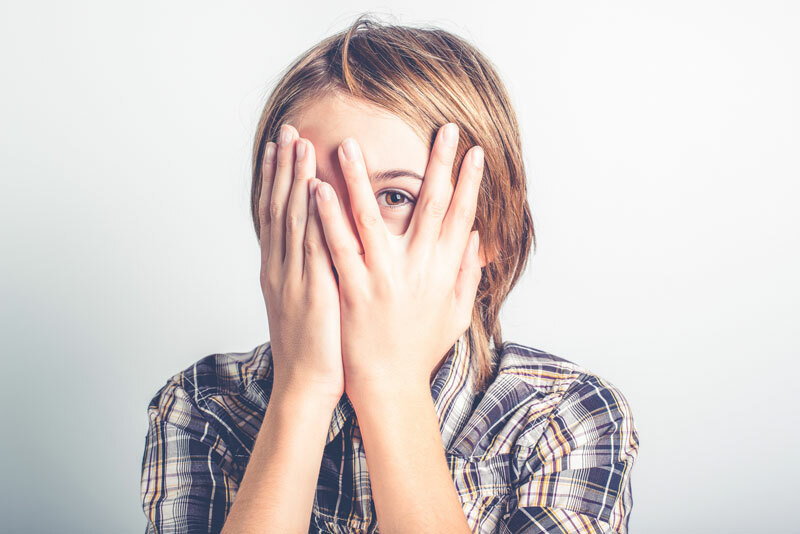 They typically shy away from large crowds and can feel drained or sensory overload when it comes to too much stimulation or interaction with large environments. They often hold onto their thoughts and ideas first while processing the information that is offered to them before they respond or act upon an impulse. Extroverted people on the other hand thrive on interactions with people and stimuli. They enjoy interactive play, making partnerships with many people and are eager to express their ideas. Extroverted people typically aren’t as comfortable with activities that require independent time or things that require constant routine. They thrive more on variety and change. So how do you help your child strike a balance to ensure that they are operating in a harmonic way that benefits themselves and the world around them? Here are a few tips. From the perspective of our full human construct of mind, body and spirit, our characteristics and traits provide clues to our purpose and areas that require growth and evolution. We come into this world to accomplish many things, but one of the biggest is to fulfill our purpose. Two of our primary purposes are 1.) Share our unique gifts and talents with the world in our own special way, and 2.) Evolve into higher humans by overcoming old limiting beliefs, behavior patterns and thinking about ourselves that hold us back from recognizing the true essence of our incredible human nature. Both of these qualities can be incredible gifts to our world. We need outgoing people to motivate others towards better ideas and solutions, just as much as we need introspective reflective thinkers who may add much needed frequencies of gentleness and calm to our chaotic and over-stimulated world. What does your child love to do that is of benefit to themselves and others? What are they doing when they are the happiest, engaged, focused and inspired? This will indicate when your child is in the “flow” of life. It’s their sweet spot! It is where they thrive. This may be drastically different than your own. It’s your job to understand and help them cultivate their assets… and in return you will grow your abilities to balance and harmonize your own limiting patterns and beliefs. Remember, children are our greatest teachers. Every human being came here to experience expansion. Therefore it’s important to stretch a child’s limiting view about themselves and what they think they can or can’t do. Try your very best to eliminate the word “can’t “ from your language and consciousness. Instead, give your child statements that make them feel their limitlessness and that anything is possible. Give them enjoyable activities that take them out of their comfort zone for a bit. For example, an extroverted personality doesn’t always need to be stimulated by activities all of the time. It is good for them to be introduced to activities that require independent thought or play. It’s also important for introverted personalities to experience activities that do require them to interact with a larger group of people. If noise and excessive stimuli are an issue, then make it an activity where things are calmer and less chaotic. In the real world, everyday situations are not tailored for specifically introverted or extroverted people. So it is important for your child to acquire a balance and know that they are limitless and capable of dealing with any type of situation. Here are a few questions to ask yourself about your child’s traits and behaviors. Are they causing challenges for my child? Do they use the traits as a form of escapism or to avoid dealing with reality in mature and constructive ways? Are they limiting the expression of their life or do they hold them back from growing as a human being? When our creative forces and attributes are misused, every human will know it by the level of pain and discomfort they experience. Distinguish your child’s source of pain from that of their own limiting perspectives verses that caused by others incorrectly labeling or judging their assets and value. The latter has no credence. Here are a few final tips to aid you in your parenting. Validate and reinforce a child’s break from routine behaviors. Let your child know that they can be whatever they need to be – when they need to be it! They can be vocal, calm, excited, peaceful, courageous, and demure or whatever else is need for any situation. Their brain will build neurons that support and match this flexible behavior. You are very observant…what else did you notice? You seemed to be studying the situation very intently…what do you think about it? You have a special gift for making a room full of people smile. How do you do that? You’re great at bringing people together…the world needs more unity – and people like you who can make it happen! Provide your child with relevant examples and stories of your own. Tell them a story that illustrates how you expanded your view of yourself and how it helped you, as you got older. Also tell them about your own characteristics that others maybe thought were “not good qualities” and that turned out to be great assets once you learned how to balance them. Honor your child’s sensitivity. Sensitivity is what allows a person to accurately feel and interpret energy frequencies. It’s strength, not a curse, as many people incorrectly believe. You can’t have skills such as good intuition unless you possess sensitivity.